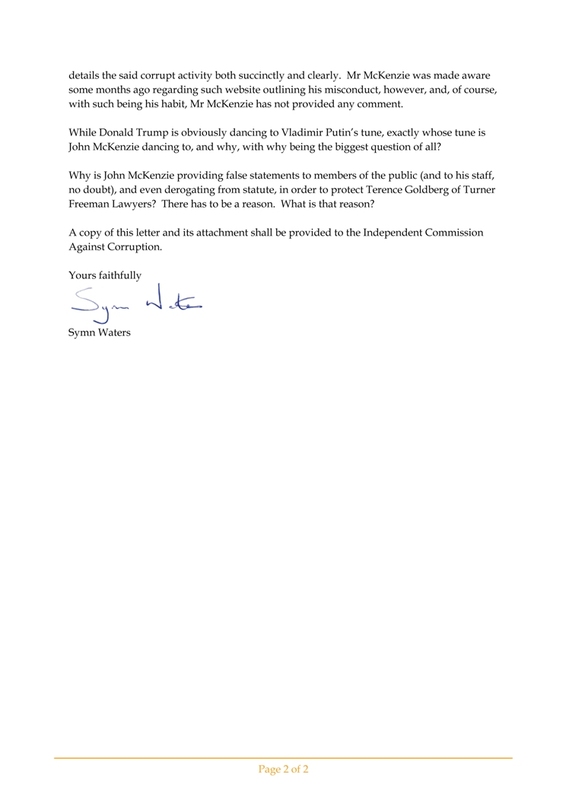 "Why is John McKenzie providing false statements to members of the public (and to his staff, no doubt), and even derogating from statute, in order to protect Terence Goldberg of Turner Freeman Lawyers? There has to be a reason. 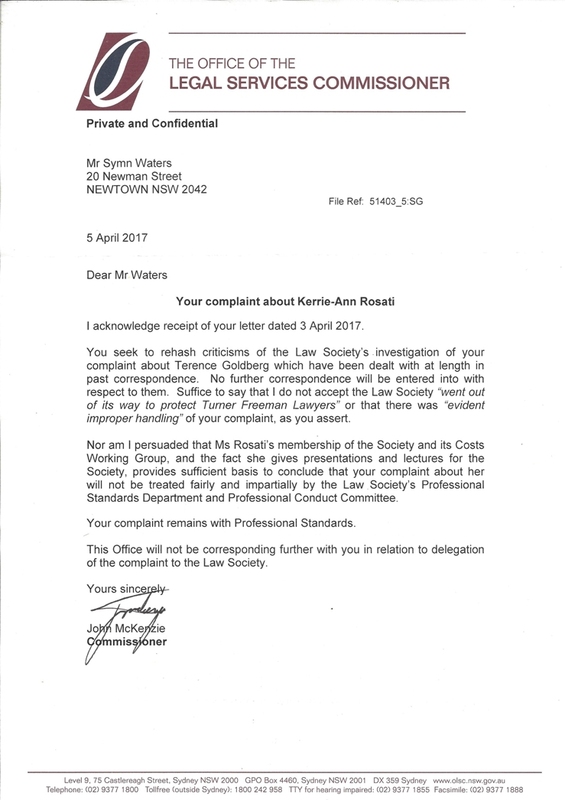 What is that reason?" 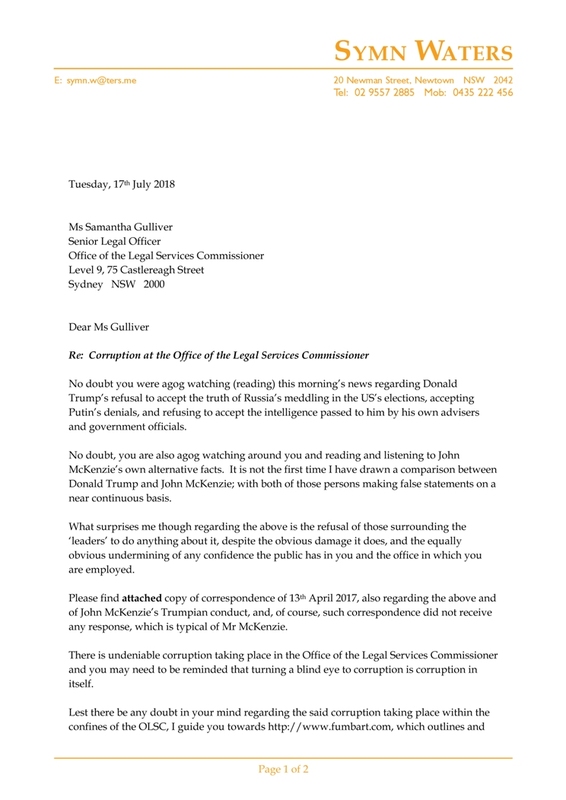 Click here for the pdf version of the above letter to Samantha Gulliver, Senior Legal Officer, OLSC: 2018 07 17 - Letter to Samantha Gulliver - Trump. 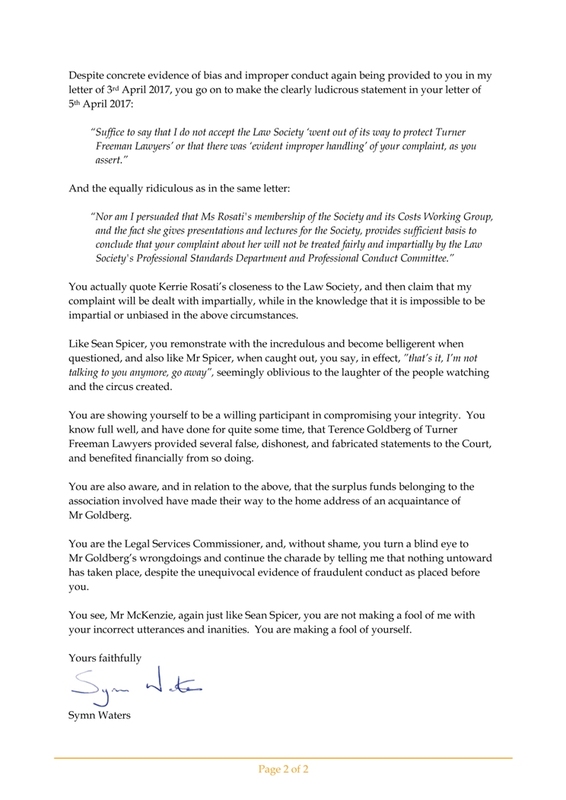 "Like Sean Spicer, you remonstrate with the incredulous and become belligerent when questioned, and also like Mr Spicer, when caught out, you say, in effect, ”that’s it, I’m not talking to you anymore, go away”, seemingly oblivious to the laughter of the people watching and the circus created. 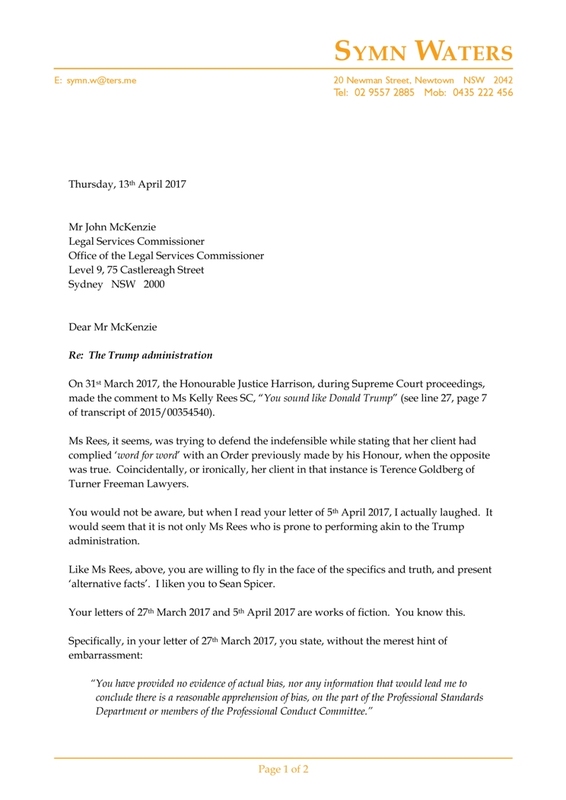 Click here for the pdf version of the above letter to John McKenzie, Legal Services Commissioner of 13 April 2017: 2017 04 13 - Letter to John McKenzie - making a fool of oneself.